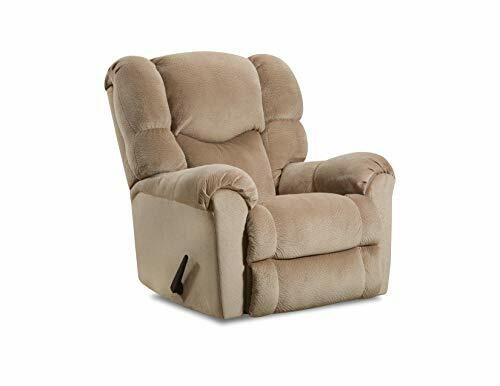 Catnapper 4517-2-2220-29 (Saddle) Teddy Bear Chaise Rocker Recliner. Free Curbside Delivery. 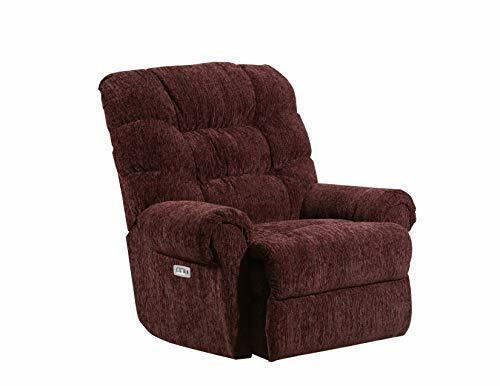 The Teddy Bear Chaise Rocker Recliner hugs as you recline with the pillow soft chaise pad seat and padded foam backed suede fabric. Comfort Coil Seating and Steel Tech Reclining are featured in ALL Catnapper furniture. Comfort Coil Seating features 15 gauge heat tempered coils for long term support and durability, over 50 independently active coils per seat for uniform luxurious seating, coil system encased in foam and fiber for long lasting shape and comfort, and individually pocketed coils for a quiet seating experience. Steel Tech Reclining features an exclusive reclining mechanism for smooth and quiet operation, steel seat box for no warping or splitting like wood, unitized steel base to resist bending, a direct drive cross bar for no side to side tilt, and an 8 gauge spring system for lasting seat strength and comfort. Catnapper is Designed for Comfort...Made to Last! Catnapper originated one of the first reclining chairs over 78 years ago and today employs 1,000's of dedicated team members. We have 5 manufacturing plants across the USA. So not only can you feel good about your furniture...you can feel great about where it's made. 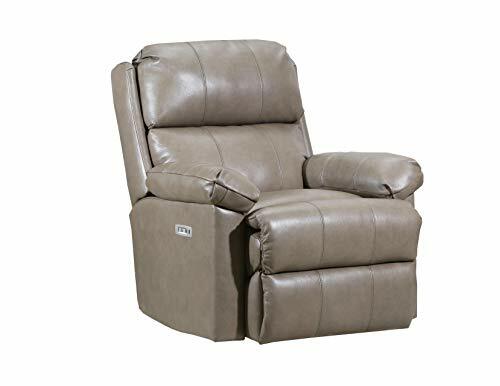 Large scale pad over chaise recliner featuring scoop seating, tailored roll arms, split back cushion for added support, and C3 Pocket Coils in the seat cushions for added comfort and support make this a great addition to any room. The recliners Zero Gravity mechanism gives the feel of weightlessness adding to the comfort of the recliner. Casual, high back pad-over chaise with heavily padded seat, arms and back. Built with optimum durability to provide a sturdy, comfortable seat with a fan-tactic cover. 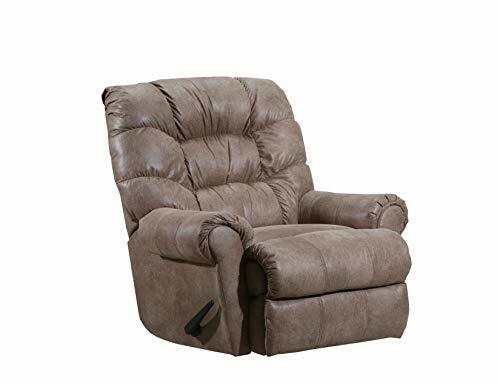 Single needle stitching gives this rocker recliner a clean, simple look that will fit with any decor. This stylish casual mid scale recliner will add great comfort to your living room or family room. 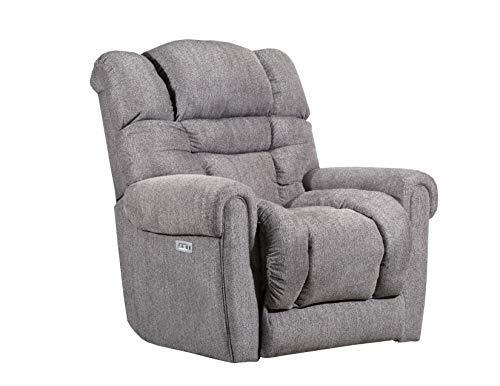 Recliner features a plush 22" high back cushion, 19" deep seat cushion, 21" seat height, padded rolled arms, enhanced seating with C3 Pocket Coil Seat cushion, and a fully supportive footrest all covered in a plush chenille with a dimensional linen weave. Serenity. Relaxation. 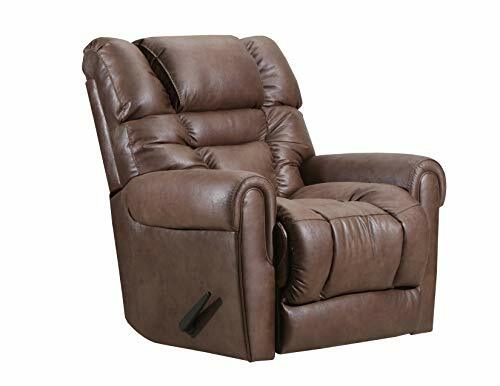 Take a big sigh as this recliner surrounds you in head-to-toe comfort from the moment you take a seat. Its built-in headrest and pillow-top arms start your journey to relaxation. As you lean back, you'll feel the comfort of the ZERO GRAVITY™ mechanism, which supports legs, back, and neck to help reduce stress. Linger longer in the lounger, thanks to its C3 Pocket Coil Seat cushion, built for optimum durability. 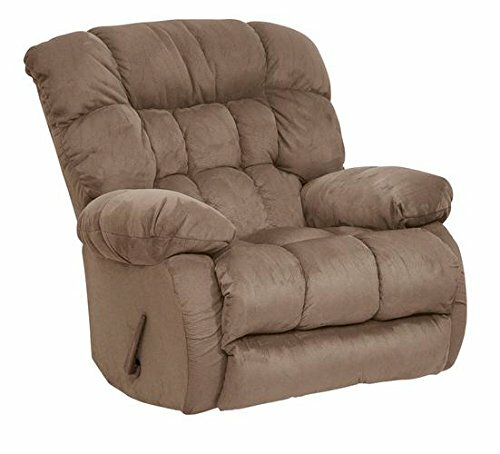 This stylish casual mid scale recliner will add great comfort to your living room or family room. Recliner features a plush 22" high back cushion, 19" deep seat cushion, 21" seat height, padded rolled arms, and a fully supportive footrest all covered in a great leather looking fabric that is soft to the hand while still very durable. Shopping Results for "Pad Over Chaise Rocker Recliner"